In one of the most rigorous scientific trials to find an effect on bullying, researchers from Mathematica Policy Research and Stanford University have found that a Playworks recess can transform school climate, paving the way for less bullying and more focus on learning. The study, one of the first that evaluates a recess- and play-based program, found that investing in recess and organized play can reduce bullying, improve student behavior at recess and readiness for class, and provide more time for teaching and learning. 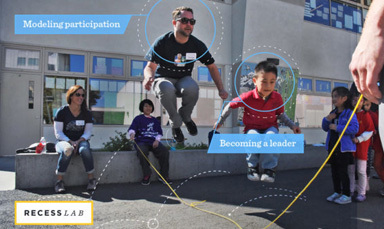 The study specifically looked at what happened when schools partnered with Playworks. Schools have less bullying and exclusionary behavior. Teachers at the Playworks schools agree that Playworks reinforces positive behavior during recess (96%), helps students stay out of trouble (91%), and provides positive experiences for students during recess (99%). Teachers in Playworks schools reported significantly less bullying and exclusionary behanvior during recess than non-Playworks teachers, a 43 percent difference in average rating scores. Teachers perceive students to be safer during recess and engage in more inclusive play. Teachers reported that as a result of Playworks, students had learned new games to play at recess (97%) and learned the recess rules (95%). Most students reported engagement with Playworks activities (74%) and the vast majority reported enjoying Playworks activities at recess (89%). Transitions from recess to learning activities are easier. The Playworks schools spent twenty-seven percent (27%) less time transitioning from recess to learning activities reclaiming valuable teaching time. Teachers reported students were more likely to come to class ready to learn because fewer conflicts carried over from recess. In addition, teachers reported that Playworks resulted in students using ro-sham-bo (rock paper scissors) in class to resolve conflicts and to make decisions. Students demonstrated better behavior and attention in class after participation in sports, games and play. Students at the Playworks schools were significantly more likely to report it is very true to questions such as “it is easier to pay attention in class on days I run around” or “participating in games at recess helps me pay attention in class and behave better”. 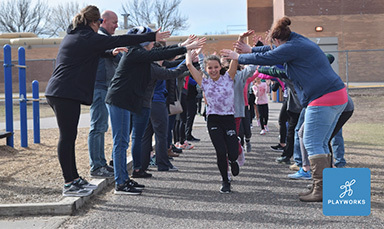 Students demonstrated better behavior during recess and enjoy adult-led activities more than students at other schools. Teachers at Playworks schools were more likely to report that their students’ behavior during recess was positive and did not require disciplinary actions. Satisfied Teachers. 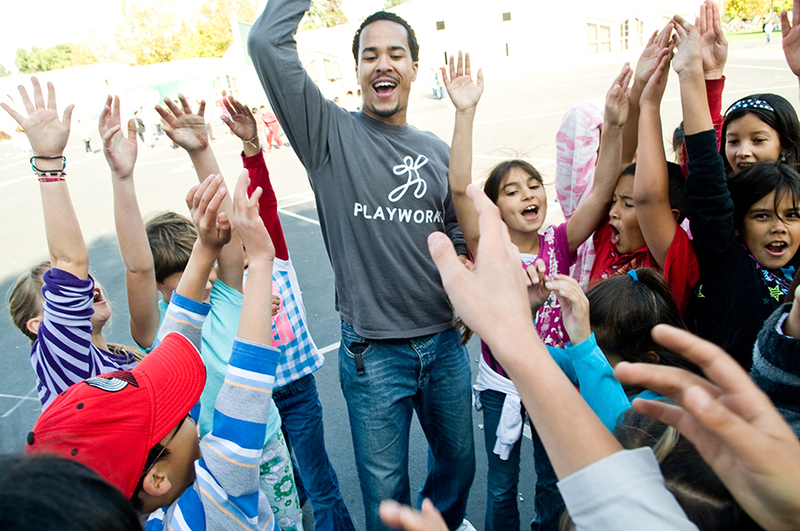 Nearly 100 percent of teachers reported that they wanted Playworks in their school again the following year. This new research finds evidence that Playworks offers a promising approach to reduce bullying, and represents the first in a series of findings. Recess and other school-based play time are some of the least studied elements of the school day. Principals and teachers often say, however, that a bad recess period has a negative effect on the entire school day. This new research, sponsored by RWJF, contributes to a growing body of evidence that a safe, healthy recess environment is a key driver of better behavior and learning. 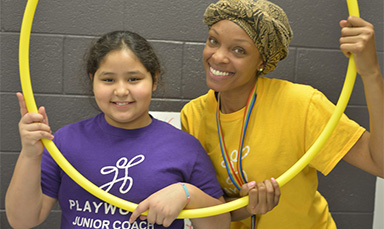 A recent University of California, San Francisco study compared physical and emotional health outcomes between students who receive Playworks and control students and found that students exposed to Playworks fared better. In another evaluation, the Harvard Family Research Projectcredited Playworks with improving cooperation among students and strengthening bonds among students and between kids and adults in school. In Baltimore, the Open Society Institute saw suspensions plummet at schools that partnered with Playworks.